Southpaw Dance Company | RUSH Blackpool tickets now available! Set against an icon of Blackpool’s skyline RUSH will be an extraordinary outdoor dance spectacular telling the stories that matter to Blackpool and Wyre residents in a huge release of energy and creativity. 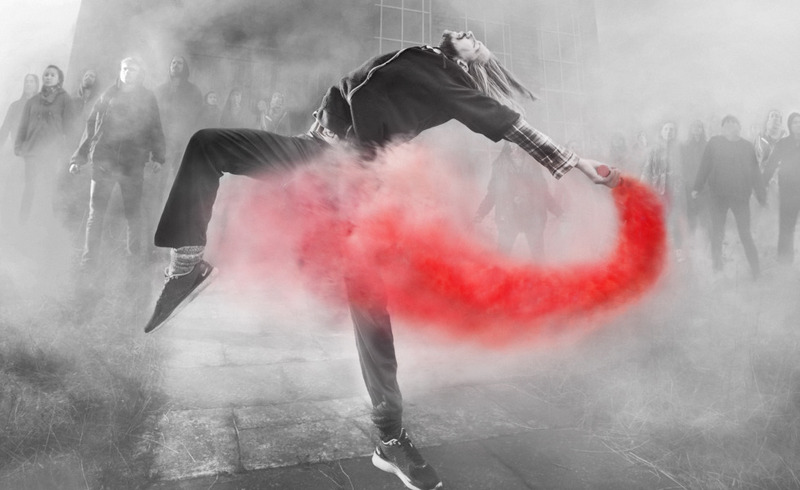 A community cast of 100 residents will perform with us in a one-off experience of dance, light, projections and film, exploring both local and global issues to an urban soundtrack. RUSH develops into a celebration, after you’ve experienced RUSH in Blackpool you will leave with a sense of exhilaration knowing that the power to change things lies within our here communities – Blackpool always keeping the lights on. Set on the site of the former police station on Bonny Street, see this Blackpool landmark in a whole new light. The police tower will be transformed and dancers will take over the space in an explosion of movement and music. Presented as part of the Lightpool Festival, RUSH has been created by Southpaw Dance Company, commissioned by LeftCoast and co-produced with Event International.